Are you interested in learning more about the Celtic Gemini Insignia tattoo? The tattoo can be a small, detailed piece (even integrated into another tattoo,) or it can be a great standalone piece. The design is also rich in Celtic history and holds deep meaning for many. Keep reading to learn more about the Celtic Gemini Insignia and how to incorporate it into your next tattoo. Like many other Celtic tattoos, the Celtic Gemini Insignia is composed of different elements in Celtic knot work. Celtic knots are popular in the world of tattoos because they are highly stylized. 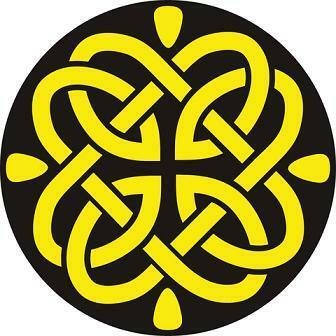 Celtic knots are combinations of loops and knots that seem to never end, or end within themselves. Many of the patterns are interlaced and repetitive. Celtic knots are derived from art that appeared during the late Roman empire and begin to influence Celtic artwork in 450 AD. 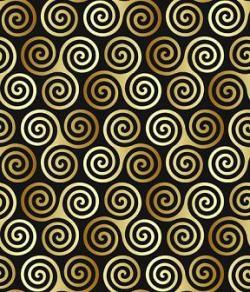 Today, spiraled and interlaced patterns are associated with Celtic culture. Celtic Symbol for Trinity: Often called a triquetra. Stands for the combination of three elements that create a whole (such as the spirit, mind and body or father, son, Holy Ghost). In the Celtic world, it also honored the significance of lunar phases. Single Spiral: A symbol of the mind itself and energy. Triple Spiral: A traditionally female symbol for power and growth. Five-fold: This symbol is also called the wheel of balance and sometimes includes a triquetra pattern. It is the absolute symbol of balance. Some speculate that the four outer circles represent the four elements (earth, fire, water and air) and that the middle circle 'unifies' them together as one. Three-fold: Another feminine symbol for power and growth, the three-fold combines three different energies into one distinct energy. How Common Is the Celtic Gemini Insignia? Celtic Gemini Insignia tattoo is a popular tattoo search. In fact, Celtic pieces are rather common in general. A Walk To Remember star Shane West has a Celtic Gemini Insignia between his two shoulder blades and it is rumored that he's not the only star with such as piece. It is rare to find a Celtic Gemini Insignia pattern that does not incorporate the color green, but it's becoming more popular to not use it. If you want to be unique, incorporate another color, such as blue or red, nd forgo the green entirely. You can go more traditional by staying with the basic green and black color scheme. Many individuals elect to get a the Celtic Gemini Insignia between their shoulder blades. This works best with pieces that incorporate larger symbols, such as the five-fold. Intwined and knotted bands utilizing the Celtic symbol for trinity make great arm bands, either for the upper arm or as bracelet piece on the wrist. Larger and more full pieces fit well on the forearm. Smaller pieces of knots fit well anywhere on the body, from the hip and wrist, to the ankle and back. The Celtic Gemini Insignia combines traditional Celtic images with the twist of the tattoo artist and the wearer. The piece itself is a collaboration between these elements and the design as a whole and is meant to incorporate individuality and personality. Be sure to put yourself in the piece and you'll have a tattoo that you could be proud of for years to come!